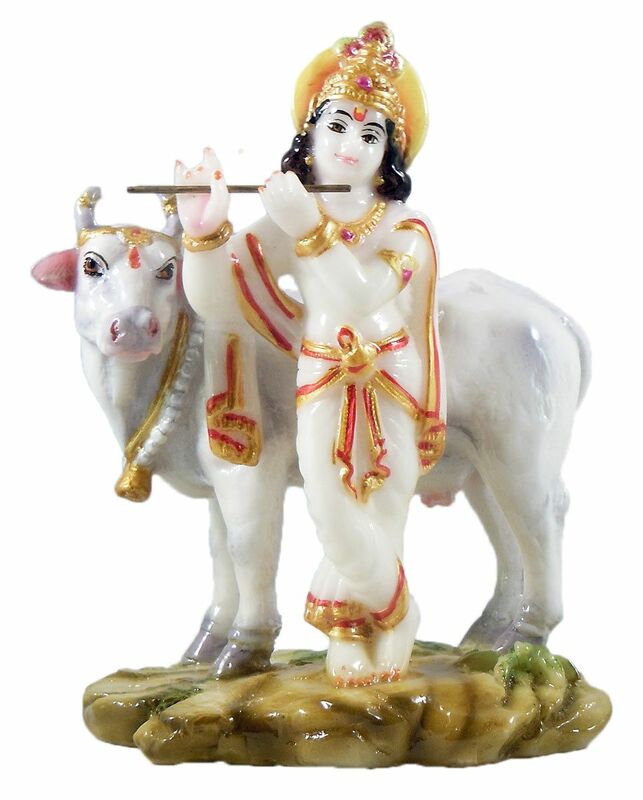 Krishna with Cow - Marble Dust Statue - 6 x 5 x 2.75 in. May also purchase more krishna statues. Buy also paintings on krishna. Also see our items on cow.